The brain in a vat is a classic philosophical thought experiment, but now an actual vat has been used to grow actual brains. Well, tiny, tiny brainlets, grown out of stem cells. Dr Madeline Lancaster and her colleagues from the Institute of Molecular Biotechnology at the Austrian Academy of Sciences grew embryonic stem cells into what they called “cerebral organoids”, in a gel-like substance under conditions similar to the human womb (Lancaster MA, Renner M, Martin C-A, Wenzel D, Bicknell LS, Hurles ME, Homfray T, Penninger JM, Jackson AP & Knoblich JA 2013, “Cerebral organoids model human brain development and microcephaly”, Nature, doi:10.1038/nature12517). The miniature brains, each about 3-4 mm in diameter, developed simple cerebral cortices, retinas and other kinds of brain tissue. Of course, it’s not really an attempt to create disembodied consciousness, but rather models to help understand brain functions and disorders. The team has previously made models of other organs, like eyes, pituitary glands and livers, but these were the first brains. To demonstrate how this can help understand disorders, some of the organoids were made from cells from a patient with microcephaly. As you’d expect, those brains turned out smaller, but in the process they revealed why: the stem cells seemed to differentiate earlier, before they could grow in volume. So this miniscule grey matter, although not able to think, has already taught us something. And next time someone tells you to grow a brain, you’ll know how to do it. I’m guessing that many Lost in Science readers and listeners could do with some cheering up at the moment, and there’s nothing that does the job like outrageous amphibians. The following are ten facts about frogs – and toads – that will at the very least give you something else to shake your head about. 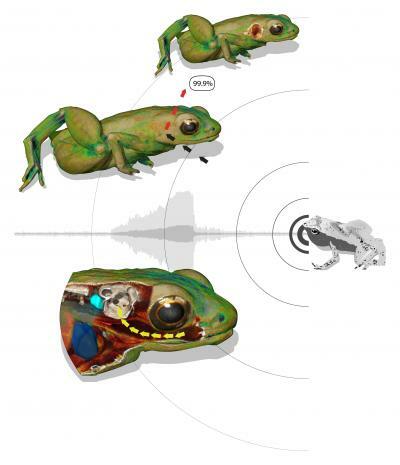 This is actually the science news that inspired this post: the Gardiner’s Seychelle frog, Sechellophryne gardineri, a frog so small that it doesn’t have ears (I know, I never thought about frogs having ears either). Only about one centimetre long, the Gardiner’s Seychelle frog doesn’t have room in its tiny head for all the intricate machinery of middle ear bones. Instead, its mouth acts as a resonant cavity tuned to the frequency of its call, which then transmits the sound to the inner ear. Actually known as the hairy or horror frog, Trichobatrachus robustus comes from Cameroon in central Africa. 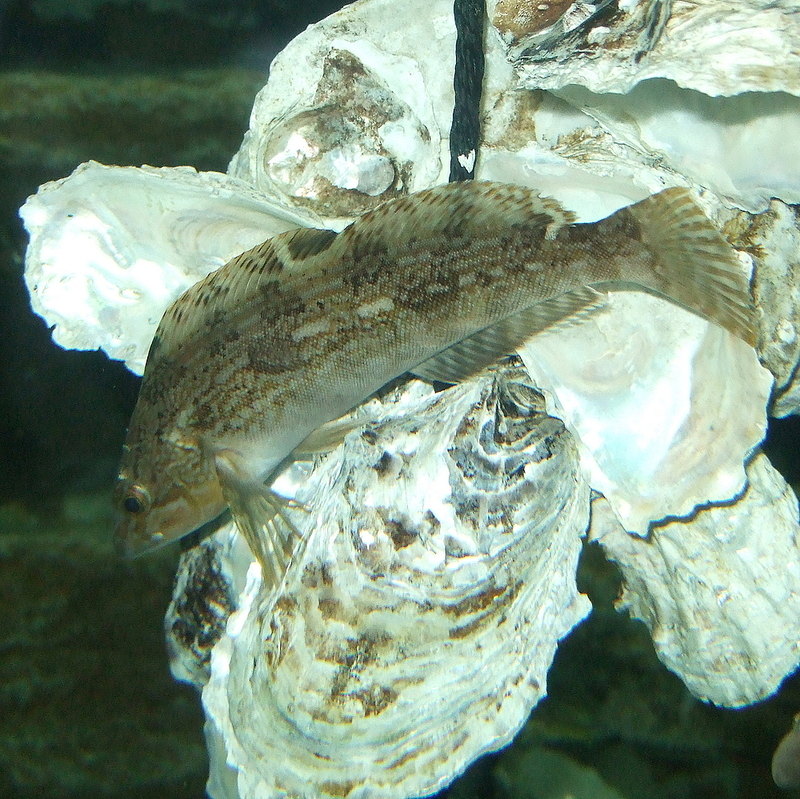 The males have long, thin growths on their skin that look like hairs but are probably more like gills for breathing. But most startling is that when threatened – or picked up by a human handler – the hairy frog intentionally breaks the bones in its toes and forces them through its skin like claws. And because frogs are good at regenerating, it’s believed to slowly heal over when it relaxes. Well, it hasn’t quite come back from the dead yet – Australia’s gastric-brooding frog, Rheobatrachus silus, became extinct in 1983. 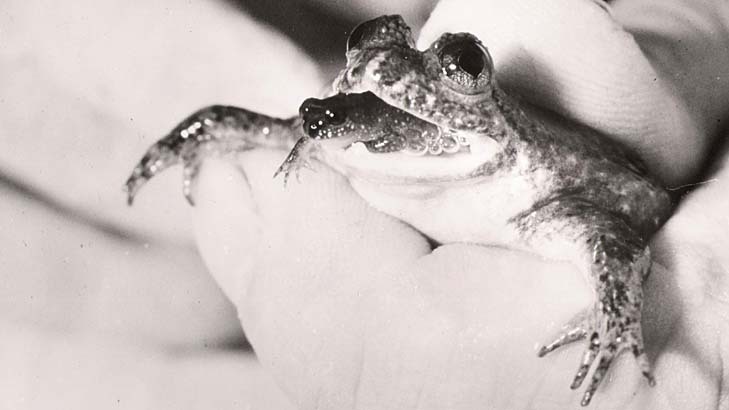 But while they were alive, female gastric-brooding frogs swallowed their fertilised eggs and stopped eating while they incubated. After about a week they gave birth to baby frogs – not tadpoles – through their mouths. If you think that sounds complicated, it’s even trickier now they’re extinct. But Professor Mike Archer and his team from the University of NSW have succeeded in cloning frozen tissue, producing living embryos. Yes, just like in Jurassic Park. The idea that dinosaurs were warm-blooded is rather at odds with the popular image of them as large, lumbering reptiles. But that’s what’s suggested by recent evidence of their anatomy, behaviour and metabolism. Despite the fact that the name dinosaur actually means ‘terrible lizard’ (from the Greek deinos and sauros), their closest modern descendants are birds, which are definitely warm-blooded, or endothermic. And indeed, many fossils show dinosaurs with feathers, which they possibly used for insulation rather than flight. There’s also evidence they lived in polar areas, which would have been rather challenging if they couldn’t maintain a suitable body heat. But there is a complication: dinosaurs’ other surviving relatives are crocodiles, and they’re cold-blooded, or ectothermic. So what gives? Professor Roger Seymour from the University of Adelaide recently took a closer look at crocodile metabolism and found further support for the idea that dinosaurs are warm-blooded (Seymour RS 2013, “Maximal aerobic and anaerobic power generation in large crocodiles versus mammals: implications for dinosaur gigantothermy”, PLoS ONE 8(7): e69361. doi:10.1371/journal.pone.0069361). The key was to look at muscle performance, which is related to the number of mitochondria in the cells. Mitochondria are the cellular power sources, and they not only work better at certain temperatures, but they also produce heat when they burn energy. Warm-blooded animals – like mammals – tend to have more mitochondria and hence better muscle performance than cold-blooded reptiles. Of course, to quantify this Professor Seymour had to actually go out and measure the physical fitness of big salt-water crocodiles in northern Australia. He and his colleagues captured them with loops, then let them thrash around till they were exhausted – that way he could determine how much energy their muscles produced. He found that the larger a crocodile was, the weaker were its muscles – particularly compared to mammals. A 200 kg crocodile produced only 14% of the energy that an equivalent-sized mammal would have. This isn’t normally a problem for crocodiles, because they hunt by just lying in wait, which doesn’t require much energy. But dinosaurs appear to have had many different styles of feeding and probably led much more active lives. 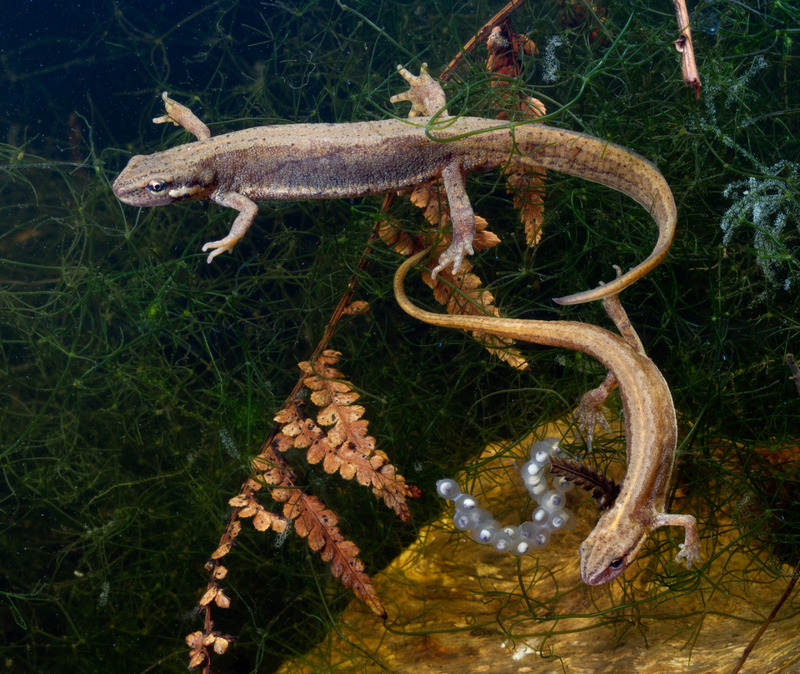 Plus, they would have had to compete with early mammals, which were evolving at the same time. Of course, there are still some unanswered questions. For one, aren’t humans mammals? Despite the calculations, I’d be reluctant to fight a crocodile my size. But there’s another question: why are crocodiles cold-blooded if they’re related to warm-blooded dinosaurs? Interestingly, this may be a recently evolved trait. Crocodiles actually have many physiological features that are similar to warm-blooded creatures, like a four-chambered heart (most reptiles have three-chambered hearts). Professor Seymour suggests that maybe the crocodile’s ancestors were warm-blooded, but as they evolved into their current, lie-in-wait niche, they needed less energy and went back to being cold-blooded. Then there’s the question about whether all dinosaurs were the same. According to some calculations, the really big dinosaurs – which were mostly herbivores like Brontosaurus Apatosaurus – would have had to be cold-blooded. Huge bodies like theirs would take a long time to cool down, so if they weren’t cold-blooded they probably would have overheated. But if crocodiles were able to adapt their metabolism to their lifestyle, it’s possible that the big sauropods did too, and so there may be more than one way that dinosaurs operated. 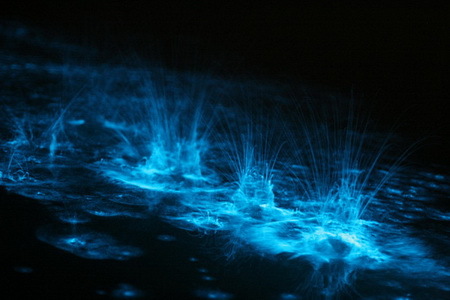 You may have seen bioluminescence, also known as phosphorescence, in the movie Life of Pi. Or possibly in the Gippsland Lakes (“Plankton put on a show at Lake Victoria”, The Age, 29 January 2013). The short explanation for what causes it is that it’s oxidisation of the chemical luciferin, in the company of the enzyme luciferase, releasing energy in the form of light. This reaction is found in all kinds of animals and fungi, from fireflies and glow worms, through to Anglerfish and Colossal Squid, and of course marine plankton. The long answer is best found by listening to Beth in our podcast from 24 January 2013. Go do that, along with our other previous shows. Some people report that their urine smells funny after eating asparagus, and some don’t. But is it because their wee is different or their sense of smell is different? Cue: science! Actually, you can test this at home fairly easily. If you’re able to smell asparagus wee but you know someone who can’t, simply go into the bathroom after they’ve visited it following an asparagus meal. I’ve tried it – in the name of science – and I can say that I could definitely smell their urine, even though they couldn’t (a condition called specific anosmia). However, that’s not a terribly rigorous experiment, and the plural of anecdote is not data. But answering it properly turns out to be a rather tricky puzzle, and one that has mildly interested scientists for centuries. The phenomenon of asparagus wee was first documented in the 18th century, by French botanist Louis Lémery in 1702 and English physician John Arbuthnot in 1735. Arbuthnot particularly observed that it’s more common after eating tastier, young asparagus. But the cause of it has taken a while to pin down, partly because it doesn’t appear to have any medical significance, so there isn’t really a pressing need to solve it. This is unlike, say, the tendency of some people to have red urine after eating beetroot, which has been linked to things like absorbing too much iron (see Mitchell SC 2001, “Food idiosyncrasies: beetroot and asparagus”, Drug Metabolism & Disposition, vol. 29, no. 4, pp. 539-543). The other problem is that it’s subjective. Most studies have involved simply asking people “does your urine smell weird after eating asparagus?” But how do you define “weird”? And we still don’t even know what causes the smell. Chemical analysis of urine can alter some of the volatile compounds that might be responsible. And even if you do find something unusual, how do you know that that’s actually causing the smell? What you really need to look at is the vapour above the urine. Fortunately, a few dedicated souls have done just that, revealing a number of possible candidates, all of them sulphur compounds (see for example Waring RH, Mitchell SC & Fenwick GR 1987, “The chemical nature of the urinary odour produced by man after asparagus ingestion”, Xenobiotica, vol. 17, no. 11 , pp. 1363-1371, doi:10.3109/00498258709047166). The main one that people have identified – and for a long time was believed to be the primary source of the smell – is methanethiol (CH3SH). It’s also found in faeces, bad breath, farts and other decaying organic matter, and it smells like rotten cabbage. It’s sometimes added to natural gas to give it a smell, for safety reasons. So it’s famously smelly, which is one reason to doubt that it’s the culprit. After all, everyone can smell things like faeces and farts, but asparagus smell is a little more idiosyncratic. Which means it’s probably a combination of it and the other sulphur compounds; things like dimethyl sulphide, dimethyl disulphide, bis-(methylthio)methane, dimethyl sulphoxide and dimethyl sulphone. Because all these chemicals contain sulphur, they have to originate from a sulphur compound that’s unique to asparagus. The only possible candidate is called, surprisingly, asparagusic acid (S2(CH2)2CHCO2H). It’s deadly to insects, and found more in young asparagus, presumably to protect them from pests. So Dr Arbuthnot back in 1735 was right. However, it’s not the asparagusic acid itself that ends up in the urine, it’s what the body metabolises it into. Which is the methanethiol and all the dimethyl et ceteras. So we have some possible culprits, but we still can’t isolate the recipe for the smell. Which means we can’t just hand people a flask of the odour, and instead we have to go back to smelling urine. Unexpectedly, in this study they got a spread of results, rather than a simple yes-no, can-can’t smell it. Only 3 people out of 38 did not produce smelly urine, i.e. when other subjects were asked which of the samples came after eating asparagus, results were no better than chance. And only 2 were unable to smell it at all. But there was certainly a range of ability to smell, and a range of smelliness. Alongside this they also did some genetic testing. This concentrated on a single nucleotide polymorphism – that’s a variation in just a single base-pair in the DNA molecule – near a gene call OR2M7 (the OR is for ‘olfactory receptor’). They showed that that variation was strongly associated with the ability to smell the asparagus in urine. But there was no association with the ability to produce it. Although there was a range of smelliness, which would have to be related to how their bodies process asparagusic acid, the cause is as yet unknown. So it seems that the main difference between people is due to this mutation in OR2M7. If you have it, you can smell asparagus wee, and if you don’t… Well, you can probably smell it at high concentrations, but not as well as the mutants. Which all concurs with my not-so-scientific, DIY test. Which is reassuring, but I still wouldn’t expect my study to be published in a peer-reviewed journal. ¡Feliz Año Nuevo! If your new year’s resolution is to quit smoking, consider donating your used butts to Mexican birds, who appear to be using them to get rid of parasites. After noticing that local birds were incorporating cigarette butts into their nests, researchers in Mexico City decided to test whether they might be doing because of the parasite-repellent properties of nicotine (Suárez-Rodríguez M, López-Rull I & Garcia CM 2013, “Incorporation of cigarette butts into nests reduces nest ectoparasite load in urban birds: new ingredients for an old recipe?”, Biology Letters, vol. 9, no. 1, 20120931, doi: 10.1098/rsbl.2012.0931). Sure enough, nests with more butts were found to have fewer ectoparasites (creatures like mites that live on the outside of organisms) than those without. Although, they also found that smoked butts worked better, as they were more toxic to parasites. Further research is needed to determine whether the birds are choosing the butts for their anti-parasite properties, or if it’s just because they make good insulation. Also, the researchers hope to find out whether using cigarettes does actually benefit the birds, or if the toxicity harms them as well. But it’s good at least to see that birds can adapt and make use of urban environments, even if it is through poisonous litter. A kind-of good news story to start the year!